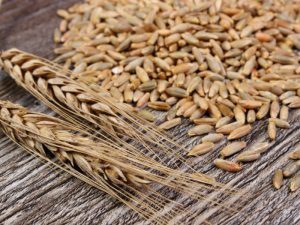 Rye grows well in poor soil and can cope with extreme cold better than other small grains so, it’s no surprise that rye is grown widely in Northern and Eastern Europe. The main rye belt stretches from northern French-German border, through Poland, Hungary and the Baltic states into central and northern Russia, where it serves as the main bread cereal, rather than wheat. 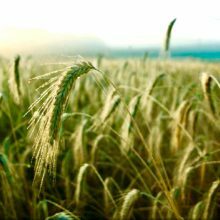 Rye is also grown and is very popular in the colder areas of Canada and the United States, Turkey, Kazakhstan and in northern China. Rye grain is milled and used widely as flour, so most often found in bread and baked goods, particularly on the continent. Did you know? The Germans make more varieties of bread than anywhere else – the vast majority containing rye and, as in France, the ingredients and quantities in certain rye bread recipes are regulated by law. The grain can also be found in beer , crisp breads & crackers, some whiskeys and vodkas, not to mention animal feed. Rye can also be rolled, similar to rolled oats and eaten as a porridge and is grown as a ‘green manure’ for soil improvement. You will often find rye in your grass seed as the grassy part of the plant helps make a coarser, more durable turf – good for heavy family use. Right, so how do I get some and what’s it like…? Rye has a distinctive, slightly sour, malty-treacle flavour and recipes containing rye often also include treacle, and molasses. Caraway seed also intensifies and enhances the rye flavour and can often be found in rye breads, cakes and biscuits as well as sunflower and poppy seeds, walnuts, and dried fruit. Unlike wheat, rye flour has a low gluten content and contains a much higher percentage of soluble fibre. It is gluten that helps form the structure of bread so, particularly in the case of dark rye, it tends to make very small, dense breads (don’t worry, you haven’t done anything wrong). Those breads with a particularly high % of rye flour, such as the Rugbrods of Sweden, are very small and square and sliced very thinly, sometimes only a few millimetres thick. Though the flavour changes and intensifies as it ages, dark rye breads tend to have a much longer shelf life than wheat breads. They were historically popular as storage rations for long boat trips and outdoors expeditions. Did you know? In 17th & 18th century France a form of dried rye bread was fed to sailors and soldier as ‘Pain de Amunition’ – A recipe not far off one used to make rusks for animal feed! Rye is a common, unwanted invader of winter wheat fields. The addition of rye in many rustic, country-style, French breads represents the fact that historically rye would be found growing among the wheat, so the grains were all harvested together. Flour was once stoneground as a rule, rather than by the roller mills of today, so separating the rye from the wheat, then the bran from the grains, was very difficult. Flours therefore, usually contained a mixture of both grains and much more fibre so it was very coarse. To get finer flour was very labour intensive and extremely expensive so reserved only for those in the cities that could afford it. This led to the new, crusty white baguette-style bread becoming popular as a symbol of wealth. Naturally then, the use and consumption of rye and rye products became synonymous with the poor and only country folk, peasants, soldiers and sailors and the poverty-stricken of city slums ate rye in their bread. In the middle ages and periodically throughout history, the eating of damp, badly stored, poor quality, mouldy rye lead to a poisoning called ‘Egotism’. Symptoms included hallucinations, convulsions, necrosis of digits and death (there’s more but I want you to read on!). You will be pleased to know that modern grain-cleaning, milling methods and regulation have practically eliminated the disease. Twentieth century medical explanations of the ‘bewitchment’ observed at the time of the Salem witch trials in the early 17th century suggest that the behaviour of those affected was actually caused by bread made following a poor rye harvest, not witchcraft after all. Ergotism now safely in the past, rye flour comes with some hefty health claims. 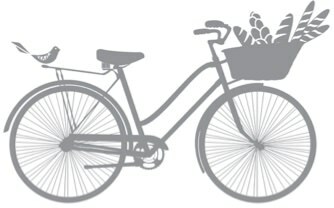 With undisputed high levels of fibre, iron, calcium, potassium, zinc, vitamin E and a variety of B vitamins, bread made with a high percentage of dark rye therefore has benefits for the skin, blood, bones, digestion, nervous system and joints. 1. Reduced Blood sugars – As carbohydrates go, rye is low on the glycaemic index, which means it won’t spike your blood sugar and leave you feeling sluggish a few hours after eating. A study in the American Journal of Clinical Nutrition* found that eating rye leads to better blood-sugar control compared to wheat. In a study conducted at Lund University in Sweden* mice were fed whole grain diets based on either wheat or rye, for 22 weeks. Body weight, glucose tolerance, and several other signs were measured during the study. At the end, mice consuming the whole grain rye had reduced body weight, slightly improved insulin sensitivity, and lower total cholesterol. A similar study on humans found the eﬀects on 12 healthy subjects, of breakfasts made from different rye ﬂours showed that the whole grain rye bread (especially the “sourdough” one with lactic acid) best controlled blood sugar and regulated appetite. 2. Helps with weight loss – Along with the regulation of blood sugars, eating rye will apparently help you feel fuller for longer. Higher in soluble fibre than wholegrain wheat, wholegrain rye could therefore increase your satisfaction from food so you stay fuller for longer. 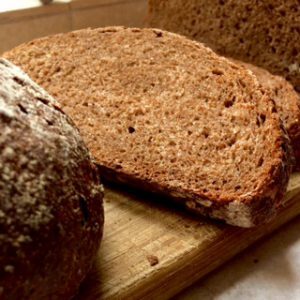 Volunteers in the Swedish experiment* mentioned above, who ate rye bread for breakfast, felt less hungry throughout the day than those who had wholegrain wheat, even though both are packed with fibre. 3. Regulates hormones – Rye grains are apparently packed with phytoestrogens*, plant molecules that have been shown to improve hormonal balance and even out oestrogen levels. 4. Reduces the effects of digestive disorders – Although not gluten-free, rye is much lower in gluten than other grains. The soluble fibre in rye is prebiotic, so considered more easily digestible than some other cereals. As such it has been shown to reduce inflammation and inflammatory diseases of the gut* such as IBS and metabolic disease, as well as decreasing the amount of those bile acids that lead to gallstones. *Sources www.wholegraincouncil.org & American Journal of Clinical Nutrition February 2010; 26(2): 230-9. E pub 2009 Jul 31. Now the interesting foodie bit…. Traditionally in Germany ‘roggenbrot’ (the generic term for rye breads) is eaten with cheese, hams and salami for breakfast. 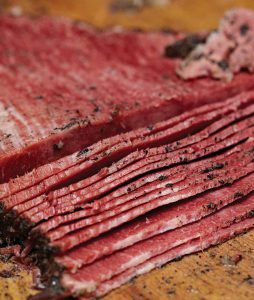 In the New York deli’s of the USA (where immigrants from Eastern Europe make their favoured pumpernickels) pastrami & dill pickle, corned beef and sauerkraut are popular fillings in a sandwich – ‘The Reubens’ toasted with Swiss cheese and pastrami (cured, spiced beef brisket) being a favourite comfort food. In Sweden the small, dense, heavy textured ‘rugbrods’ are served as open sandwiches with smoked fish and gravlax. If none of those are you thing, rye breads in all their forms make fantastic toast with lashings of your favourite butter or jam and rye is great with cheese. Great! I’m sold, So, where can I get hold of some of this wonderful stuff? Pain de Campagne, Sunflower & Rye Couronne, Pumpernickel, Pain de Metiel, Pain de Seigle, German Dark Rye, Pain au Cereales, Swedish Limpa, Tabattier aux Pommes, Pain aux Graines Tournesol. Butter one side of each slice of bread. Placing the butter side down, spread some dressing (if used) on both the un-buttered sides. 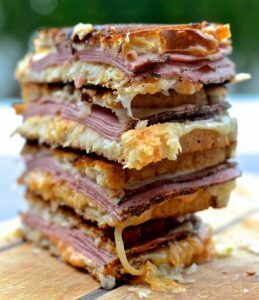 Layer the cheese slices and pastrami on one slice of bread, ending with a cheese slice. Top with Sauerkraut and dill pickle. Top the sandwich with the second slice of bread, butter side up. Now, with both the buttered sides on the outside, place the sandwich on a hot griddle pan and grill on both sides until the bread is crispy and brown and the cheese melted. Alternatively, grill in a sandwich maker as per the manufacturers instructions. Continental bakes, delivered straight from my oven to your door. Passionate about introducing the baking techniques, traditions and flavours of other cultures and continents to my customers. Different from anything else you will find in the shops.